Have you ever created a quiz and have a crazy number of people exit the quiz before providing you with their name and email address? It’s pretty frustrating, right? You know ‘if they just stayed until the end’, you could provide them with crazy amounts of value in exchange for their email address. Many people begin things and leave them halfway. Sometimes they get distracted, forget what they’re doing or something more important (at that time) came up. It doesn’t mean that has to be the end of your interaction with them. Retargeting is a method of advertising that involves engaging with an audience after their first touch with your brand or with a specific type of content. One thing you must be aware of is the high bounce rate when people visit your website. In order to re-capture those that did not stay on your website and complete a specific action, you can then deliver additional marketing messages with platforms such as Facebook. It doesn’t just work for websites as I am about to show you how it will work with your quiz. If you’re implementing a quiz as part of your marketing strategy, you want your quiz to help you achieve an end result. The end result could be more product sales or more clients. It may simply be to grow your email list to monetize at a later date. No matter the reason, you need to ensure that you are asking the right questions. Ensuring you have the right questions is a very important part of this tutorial, as the answers that are provided, are extremely important for this retargeting campaign to work. If you need help with asking the right questions, Josh has written a very thorough guide on how to ask better questions. Also, lay out your questions in such a way that your ideal audience can relate. 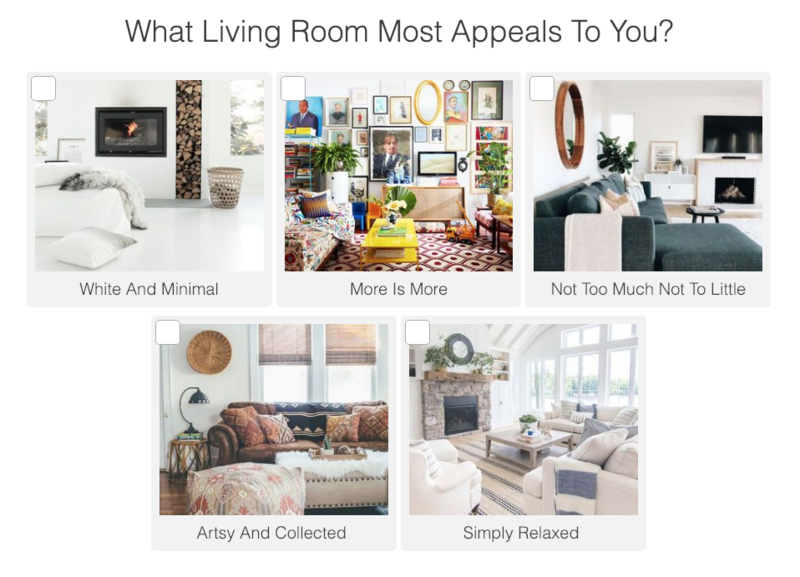 For example, in this example, an interior designer has used images, as she knows that her audience is likely going to be visual and express themselves and what they want with images. Once you have chosen your questions carefully and constructed your answers, you are going to want to ensure that your outcome pages are completed. These are the pages that you are going to send people to once they have completed the quiz. Remember, we want to retarget people who have not completed the quiz as well as those that have completed the quiz, and I promise this will make sense as you keep on reading. The most effective landing pages are those that are customized to each outcome, rather than a generic landing page. They encourage people to take action because they are more personalized. Touch base on some of the key points mentioned during the quiz for the ultimate experience. Once you have all your questions and your landing page set up, you will now want to ensure that all your email service provider is connected also. This is to ensure that all your leads that completed the quiz are captured and automatically added to your email list. Again, this will be important for the following stages of the tutorial. Before you connect your email service provider, you may also want to ensure that you have set up a welcome sequence to welcome all the new members of your list. It’s also a great way for people to know who you are so that they are more receptive to any offers that may come in the future. When you run ads on Facebook, you can choose specific objectives. Facebook has an excellent guide on Facebook Events. Brand Awareness – This objective aims to get your ads in front of as many people as possible. Conversions – This objective aims to reach people who are likely to take a specific action. In our example, we may want to Get people back to the quiz to take the quiz or something else. For the sake of this tutorial, I will assume we will be running conversion ads via Facebook. When you run conversion ads. Facebook will ask you what even you would like to optimize for. Facebook categorizes what people do via ‘Events’. When someone visits a page on your website, this is called Page View. If someone signs up for a webinar, you can call this event ‘Completed Registration’. There are multiple events that you can choose from, or you can even create your own. You could create events such as ‘Result A’, ‘Rule B’ and ‘Rule C’ so that you can assign those specific events to people who completed the quiz and achieved certain answers. Once you have added your Facebook Pixel to your quiz page/s, you will then need to create custom audiences on Facebook. Custom audiences are segments of people who have or have not performed a specific action. Actions could include watching videos, engaging with your Facebook or Instagram page, or even visiting or NOT visiting certain pages of your website, and in this case, people who have completed the quiz and achieved specific outcomes. You will want each quiz outcome to have their own audience so that you can send a unique message to each avatar. These audiences will remain saved within Facebook so that you can continue to use them for relevant retargeting campaigns. Retarget those who landed on the quiz but did not complete the quiz. 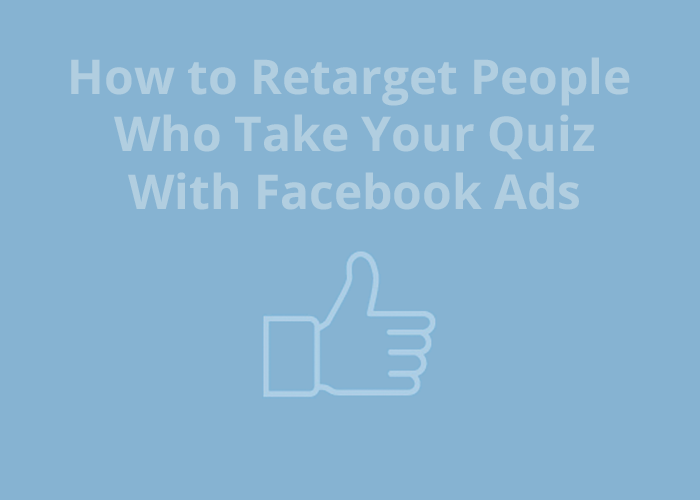 If you’re stuck for ideas on how to strategize your retargeting campaign, a really good place to start is by reading the guide on Facebook Advertising strategies for Quizzes to get going. When you are creating retargeting ads, you are often creating ads to encourage people to come back. 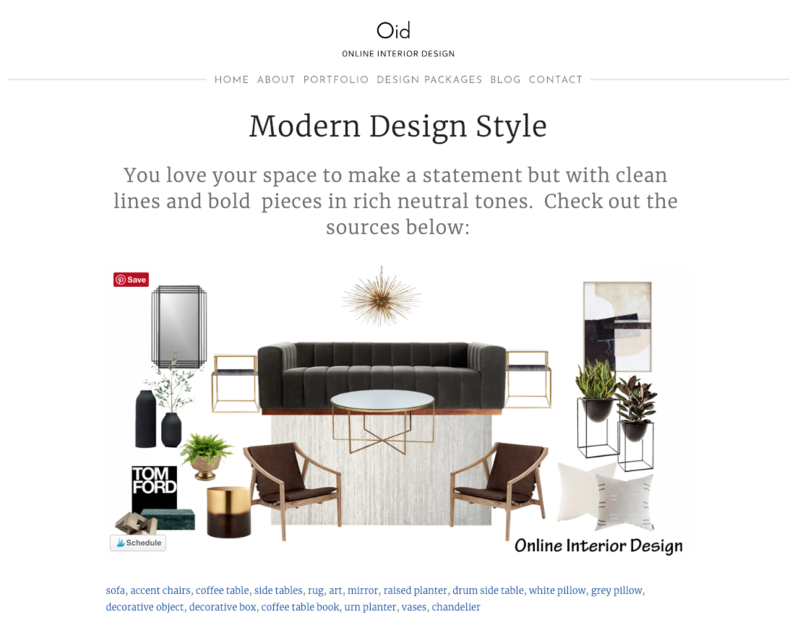 In this instance, you probably want people who landed on your results page to take a specific action, or maybe you want to deliver further content after they visited your quiz. Make sure you mention key messages from their revealed outcome. If the ad seems generic, it is less likely that people will engage. If the ad copy and image (or video) speaks to the person taking the quiz, they are likely to take action because the content is relatable. Take time creating your retargeting campaign because if done well, you can save plenty of lost leads using this method. Here is an example of a successful ad delivered to someone who landed on a specific page but did not take action. Your copy – What message are you delivering? Does it speak to your audience? Does it encourage them to take the action you want them to take? Your image/video — Does your image/video stand out amongst the hundreds of videos that they are viewing on their feed. Your call to action – Is it clear is what it is asking people to do? Do you want people to call? Message? Learn More? Make sure it is super clear to them. Once you have completed all these steps, you have not only just created a quiz, but a powerful, well-oiled machine that ensures that you not only take advantage of people who became leads, but also those who did not quite make it to the finish line. You can now continue to nurture them and eventually get them to enter your marketing funnel for your product or service. Don’t leave it too late to get going as you’re missing out on plenty of leads who are waiting for you to make contact with them again. Click here to create your quiz now!